The bikini is true to size and very easy to adapt to the size of your breasts because of the knot. So you can make it perfect for yourself! 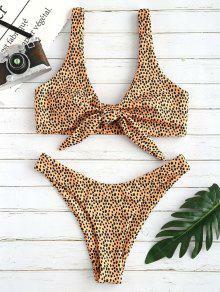 The whole bikini fits very well and the quality seems nice with a thic fabric.